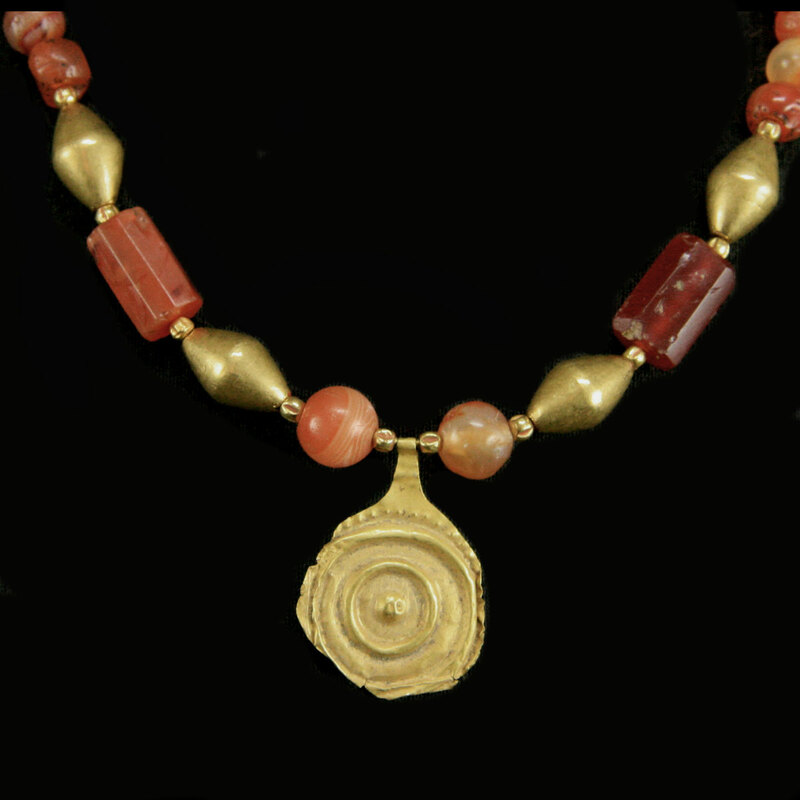 An ancient Anatolian necklace.. 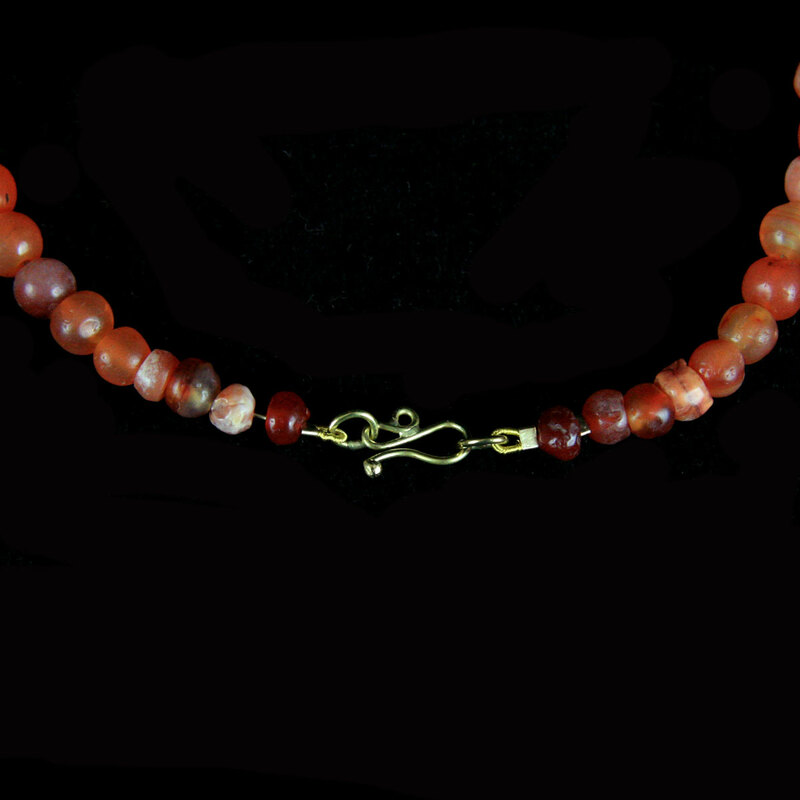 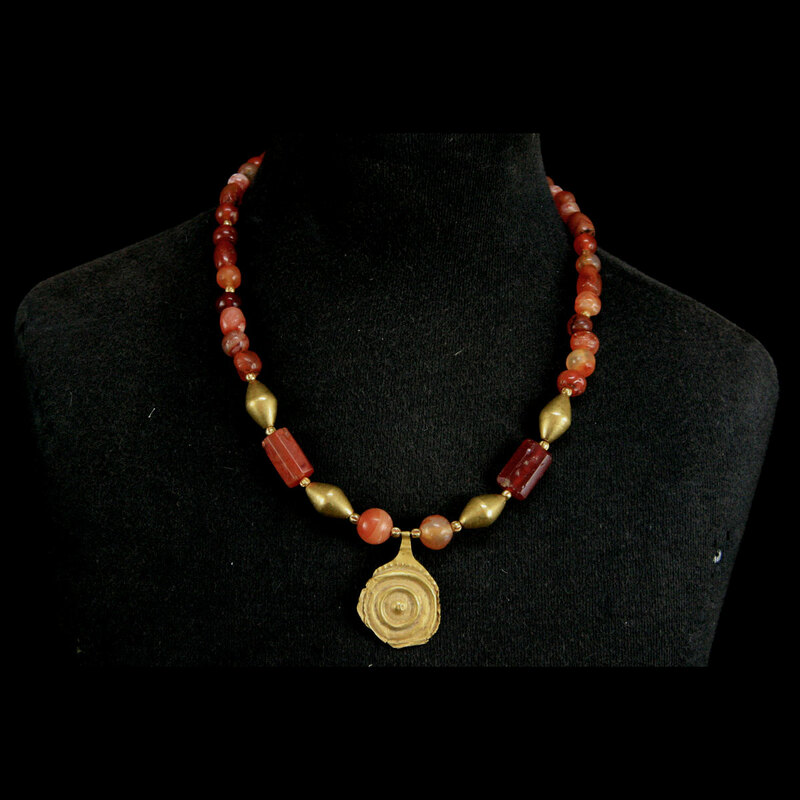 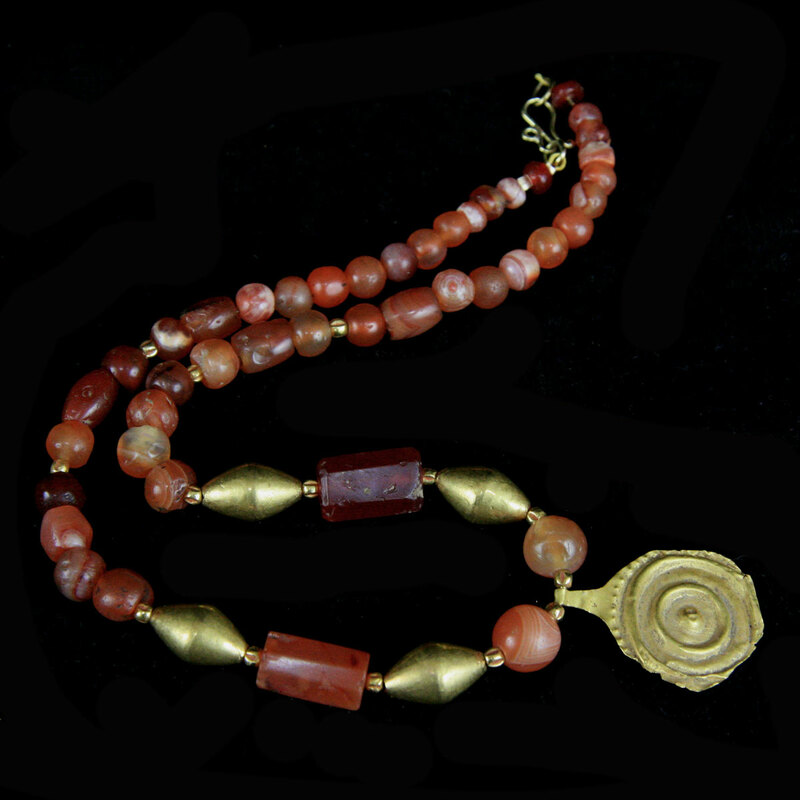 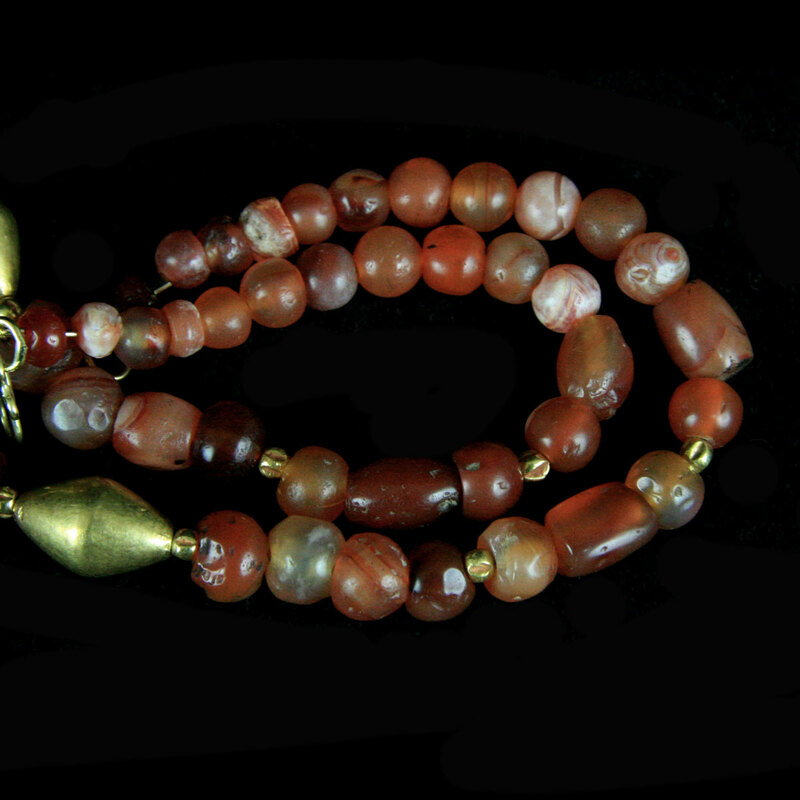 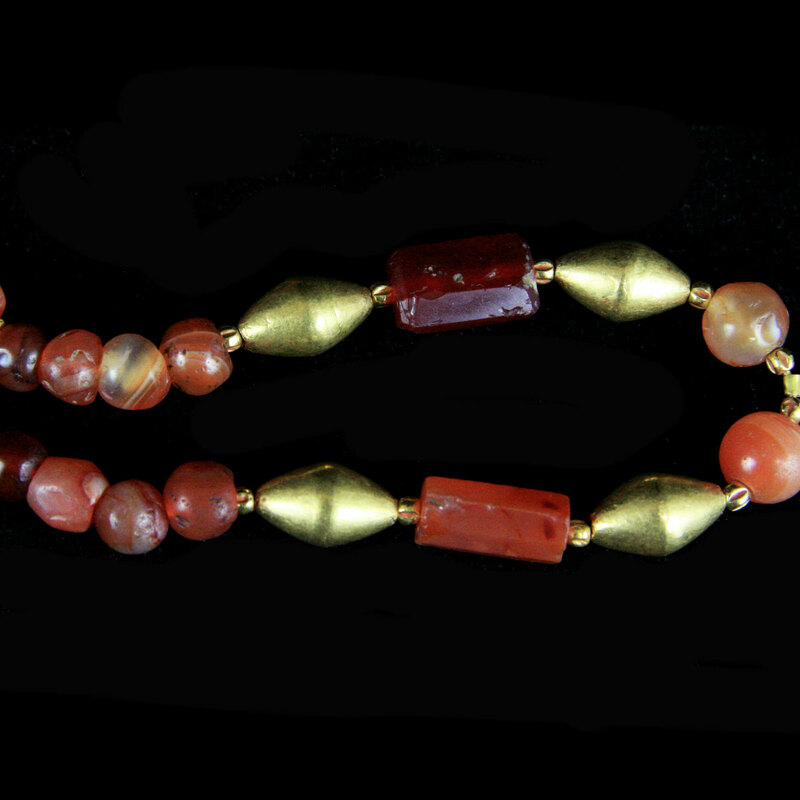 The build comprising ancient carnelian beads and foil gold pendant interspersed with 19th to 20th Century hollow gold beads and nugget bead spacers, strung on plastic coated wire finished with a modern gold clasp. 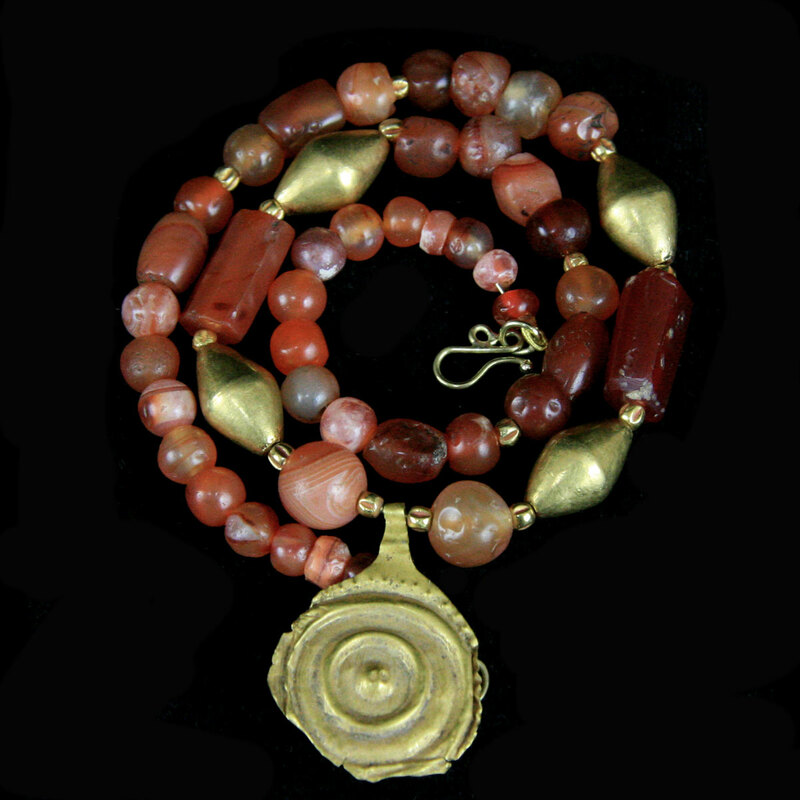 Modern Beads; 19th to 20th Century A.D.